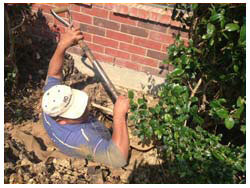 HD Foundations Offers Foundation Repair In Keller, TX. Get Facts, Solutions To Problems Like As Cracks, And Estimates. Searching for foundation repair in Keller? 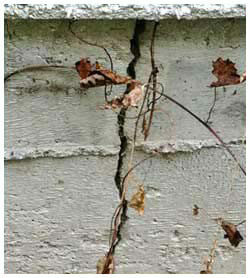 We’re contractors that solve foundation issues such as cracks. So contact HD Foundations. We offer free estimates on structural foundation damage and provide superior service in Keller. When you need effective foundation repair solutions, we can help. HD Foundations is a Better Business Bureau-affiliated company with an A+ rating. We stop structural foundation damage. There are many myths about fixing foundations. The truth is, it protects against the causes of foundation damage. Inclement weather in the area affects the ground and soil movement frequently occurs. Leaks and poor soil compaction can be troublesome, too, and lead to deterioration and cracks in concrete slab foundations. At HD Foundations, we offer our Tarrant county customers foundation repair facts pertaining to their property in Keller. It’s important that pier and beam foundation issues, damp crawl spaces and sagging floors be handled correctly, too. That’s why we’ll provide you with factual information regarding what’s wrong with your foundation. As part of our procedure, HD Foundations installs steel foundation piers or pressed concrete piers. As contractors, we use them in Keller when we see foundation repair problems such as sinking, heaving and foundation settling. We resolve problems such as crevices by using special equipment that will make your house level. The pros at HD elevate your foundation in order to make it even. This is part of what HD Foundations does when performing tasks like foundation crack repair. It’s essential that your foundation be even or it will form fissures or develop other trouble. At HD Foundations, we restore commercial properties, apartments and residential properties such as houses. We’re Keller foundation repair contractors that even offer a lifetime foundation warranty. 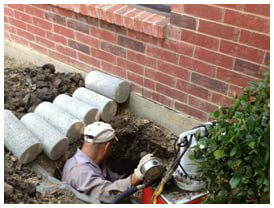 We even install foundation drainage systems, including surface and French drains. If you think your property may be at risk, contact us about foundation piers. To make your Keller structure stable, schedule a free foundation repair estimate or foundation evaluation online today.